German Specialty chemicals company Lanxess and Saudi Aramco are launching their synthetic rubber joint venture (JV) company, Arlanxeo on 1 April. The new name and logo combines elements from the names and logos of both partners. 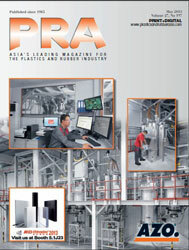 The logo is complemented by the descriptor “Performance Elastomers” to highlight the new company’s product range. 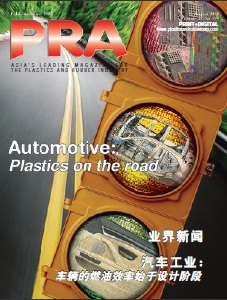 On September 22, 2015, Lanxess and Saudi Aramco signed an agreement to create a 50:50 jv for the development, production, marketing, sale and distribution of synthetic rubber used in the global tyre industry, auto parts manufacturing, and a wide range of other applications. 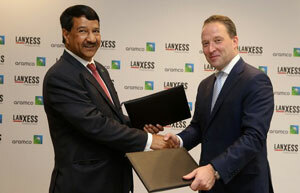 Matthias Zachert, Chairman of the Board of Management of Lanxess , and Abdulrahman F. Al-Wuhaib, Senior Vice President Downstream of Saudi Aramco signed the JV agreement in Cologne, Germany. Arlanxeo will be headquartered in the Netherlands. The partners will soon appoint the management team that will run the jv. Each partner will have equal representation on the boards overseeing the company. The CEO will be appointed by Lanxess and the CFO by Saudi Aramco.